Mary was born on February 13, 1457 in Brussels at the ducal castle of Coudenberg. Her father Charles was the son of Philip the Good, Duke of Burgundy and Isabel of Portugal. His title at the time was Count of Charolais. Her mother was Isabella, daughter of the Duke of Bourbon. On the day Mary was born, her father had left to go hunting. Dauphin Louis of France (later King Louis XI) was currently a guest of the Duke of Burgundy and was in attendance outside the door of the birth chamber. The newborn child was carried by her grandmother the Duchess to the waiting Dauphin and he requested the baby be named Mary after his own mother. Mary’s baptism was a splendid affair, especially for a female child. The Dauphin Louis acted as her godfather. She was then taken back to her mother’s room and placed on the bed. Ladies and gentlemen entered the room and crystallized spices and hippocras were served. Most of her childhood was spent in the ducal castle of Ten Waele in Ghent. 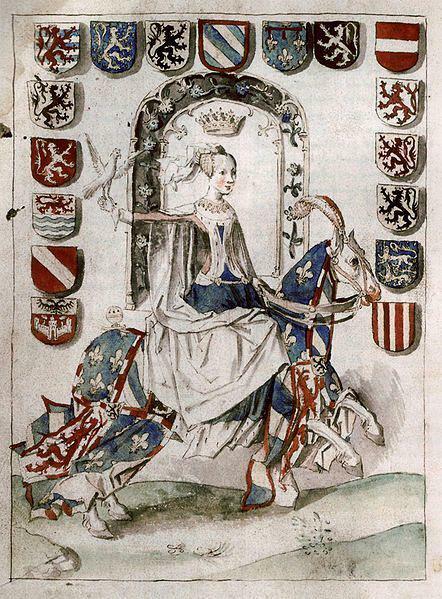 Her governess was Jeanne de Clito, Lady Hallewijn, a cousin of the chronicler Philippe de Commines. Lady Hallewijn was Mary’s most constant companion for the rest of her life. Anne of Burgundy, later the wife of the minister Lord Ravenstein, was responsible for Mary’s education. Mary received a good education worthy of the most eligible heiress in Europe. She was to have every whim satisfied. She had some companions when she was young, most notably her cousins, Lord Ravenstein’s son Philip and John of Cleves. She grew up with an ardent interest in animals. Her grandmother Isabel gave her a menagerie of monkeys and parrots. She had pet animals including a giraffe and dogs. She loved music, chess and art. She grew to love physical exercise, especially hunting, riding and falconry. She would skate on the frozen ponds of the Coudenberg Palace and hunt for hours. When Mary stayed in Brussels, she enjoyed the great deer park of Warende that surrounded the ducal palace. Mary’s mother had been seriously ill for some time, probably with tuberculosis. She was to die on September 25, 1465. Philip the Good was to die two years later and Mary’s father finally became Duke of Burgundy. Charles was looking for a wife at that time and chose the English princess Margaret of York. Marriage negotiations were finalized in 1468 and in June of that year, Margaret sailed from England and arrived at Sluys. Mary’s grandmother Duchess Isabel had carefully planned all the festivities for the marriage. Mary and Isabel met Margaret and retired to a private dinner for three hours. Mary was eleven, gentle and pale with soft gray-brown eyes. She was small and dainty and moved with a grace that was full of dignity. Based on the lasting relationship of these two women, this meeting must have gone well. Although Mary greatly missed her mother, she had much in common with Margaret. They both enjoyed hunting, riding, reading and falconry. Margaret learned French and Dutch from Mary and Mary learned some English from Margaret. Mary was religious and dutiful like Margaret and they were to go on pilgrimages together. It was to be a strong political relationship as well as a personal one. Margaret was to cherish Mary as if she were her own daughter. Mary’s father would be away from his family for most of his reign, fighting wars and administering his realm. 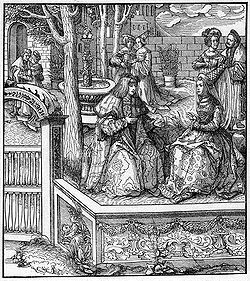 Charles received a dizzying array of suitors for Mary’s hand. Some of these candidates included Ferdinand of Aragon (who eventually married Isabella of Castile); Nicholas of Lorraine; George, Duke of Clarence (Margaret of York’s brother); Duke Francis II of Brittany; the Dauphin Charles of France; Charles, Duke of Berry (the brother of King Louis XI); Philibert of Savoy and Maximilian, the Habsburg Archduke. Maximilian was the most talked about candidate. Negotiations first began in 1463 and occurred again in 1467, 1469 and 1473. After Charles fought in the Battle of Grandson in 1476, negotiations became serious. Mary wrote a letter of betrothal to Maximilian and sent it to him with a ring. The marriage was set to take place in Cologne in 1477. But even this was not firm. In the winter of 1477, Margaret and Mary began to receive reports that Duke Charles had died in the Battle of Nancy. The two women were in Ghent and their circumstances were dire. Mary had various councilors buffeting her with advice and disastrous tidings were coming in rapidly. Eventually her father’s body was found. Mary had no money, no troops and no power. She was arguably a prisoner of the citizens of Ghent. Margaret and Marie called a meeting of the estates general and Marie made a speech where she renounced a huge levy that had been given her father, relieving them of the debt. There was a charter drawn up called the “Great Privilege”. It was designed to restore local rights. Mary was forced to promise to rule with the advice of the council in all matters, including her marriage, war and peace. Many nobles were taken prisoner and many abandoned Mary and allied themselves with King Louis XI of France. Louis ended up annexing Burgundy into his kingdom. Even though Mary no longer ruled the duchy of Burgundy, she retained the title of Duchess. Margaret was forced to leave Ghent for her own safety. Some of Mary’s advisors and some wealthy merchants who had supported her father’s repressive rule were seized and killed by an angry mob. Mary’s advisors were urging her to marry various candidates but Mary had her heart set on the Archduke Maximilian. Margaret quickly finalized the marriage treaty with Maximilian. Maximilian was carved out of the succession to the duchy. 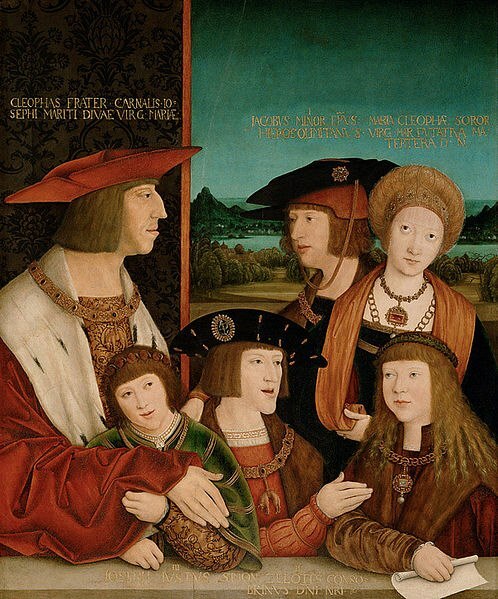 All that was left of Charles realm was to go to the children of Mary and Maximilian. On April 19, 1477, envoys from the Archduke arrived with a letter and a ring. Mary immediately accepted and a proxy marriage took place two days later. Maximilian left Austria in May and took ten weeks to make his journey to Burgundy, mostly due to lack of funds. He was eighteen, two years younger than Mary, blond haired and elegant and well educated. He spoke seven languages. Like Marie he enjoyed hunting and riding. He arrived on August 18th and they were married that same day. A truce was negotiated with King Louis XI which lasted a year. It was not renewed. Within a few nights of her marriage, Mary brought falcons with her into the bedchamber. The couple fell in love and the marriage seems to have been rather happy. Mary taught Maximilian French and he taught her German. They read romances together and went hunting. Her greyhound slept in the same room with them. They were to have three children. Philip, known as the Handsome, was born in July of 1478. 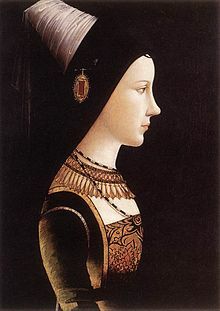 Margaret was born on January 10, 1480. In September of 1481, Mary had a baby boy named Franz who died shortly after he was born. Mary fell into a post-partum depression. Maximilian spent much time away, fighting the wily King Louis XI. In March of 1482, Mary’s Master of Horse, Lord Ravenstein, in an effort to raise Mary’s spirits, organized a falcon hunt in the marshes of Wijnendaele near Bruges. Somehow during the hunt, Marie was thrown from her horse. There were no visible wounds but she was in immense pain. Bleeding heavily internally, she was carried in a litter to Bruges. She may have been in the early stages of her fourth pregnancy and her condition worsened day by day. She refused to let herself be examined due to modesty. Mary understood she was dying. She comforted her despairing husband. She bade farewell to her women and children. She begged her stepmother to guard and watch over her children. She made her will, naming her husband guardian of her heir. Mary died on March 27th and was buried in the Church of Our Lady in Bruges. 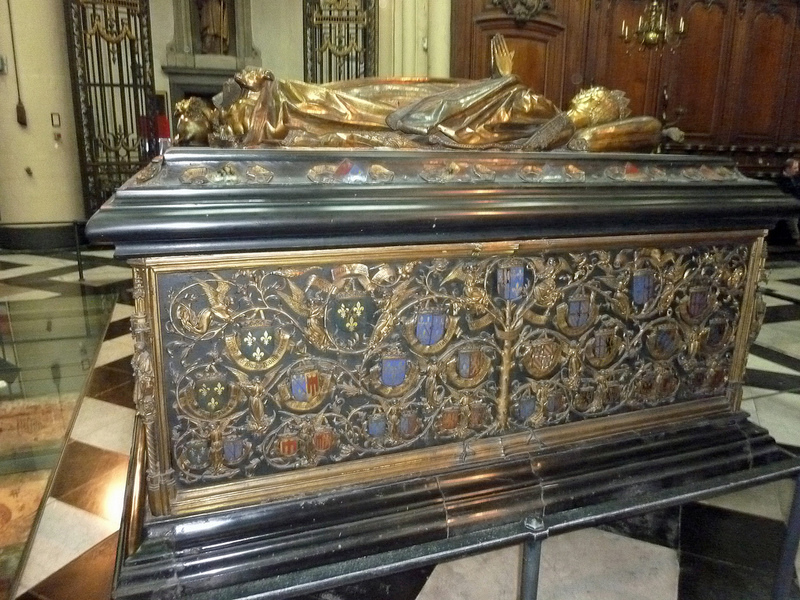 In 1502, she was reinterred under a magnificent bronze monument by Pierre de Beckere of Brussels. Thank you for the very informative read. I find it very sad that King Louis XI would not make peace with her even though he was her godfather and obviously good friends of the family at one time. Even suggesting she be named after his own mother. The idea that she didn’t want to be examined by a doctor because of modesty seems odd. She had several children and privacy, as we know it today, didn’t exist. Nothing could be done for internal bleeding. A brave woman? Susan, the etching of MoB on horseback is stunning. Thank you for sharing it. Susan, thank you for a fascinating post, and thanks especially for providing a full credit for my photo 🙂 It’s much appreciated. I particularly like the illustration of Mary on horseback, and the family portrait. Yes Tina, our friend Jayne told me about the photo. Thank you for letting me use it! At some point I would love to see an article on the education of young noblewomen in the Middle Ages. What was important to learn and why? What do we learn today that was considered a waste of time for a young woman then, if anything. How much influence did her status have in her education. Were there differences in the education of girls in different countries or traditions. This is just a not very subtle hint for those days when…maybe…you are out of ideas! I love your work! I learn a bit more with every article. Thanks! That is an excellent idea for a book Mary! I will keep it in mind. This was a wonderfully informative article. Thank you for sharing the story of this privileged woman. She may have had a sad ending but she appears to have held her grace throughout her turmoils. I do have a question though. Is there a difference between Mary and Marie? Thank you R. Stachowiak! There is no difference between the two names. Marie is the French version of Mary. This is a very interesting and educative post, I like it so much, I am going to reblog it, thank you Susan for this post !!!!! I’m confused about the family portrait. Who are the three children, if her third child died in infancy? And is that boy in the middle really Phillip the Handsome? What a sad ending to a happy and privileged life! Imagine having your own pet giraffe, especially in the Middle Ages, when it would have seemed like a fabulous monster. Another interesting post – thank you. Mary really was a lucky girl.